When Do We See Dallas's 2011 Draftees in Cedar Park? Last weekend, Minneapolis hosted the 2011 NHL Entry Draft. The Dallas Stars had a total of six selections in the draft, including the 14th overall pick. Jamieson Oleksiak, the 6'7" defenceman out of Northeastern, was their first round draft pick. There is obvious excitement to see a player of this caliber in Cedar Park, but when? To help moderate expectations for the 2011 draft class, I took a look at the players from the 2010-11 Texas Stars who were originally drafted by the Dallas Stars organization. There are, of course, other players who were drafted on the team, such as Aaron Gagnon, Dan Spang and Brent Krahn, but I wanted to look only at those who have come up fully through the Dallas system. You can see from the table that the majority of the drafted players who joined Texas for the last campaign were selected in the 2006-08 entry drafts. Dallas is not a club that rushes their prospects through to the NHL generally. Players like Jamie Benn have been the quickest moving prospects in the Stars system and yet Benn still played two years with the Kelowna Rockets after being drafted before breaking onto the scene in the NHL. So when do we expect players like this to start filtering up to Cedar Park? The earliest to expect any of the 2011 draftees would be 2013-14. Most of these players will be just beginning their second year of college/major juniors play in the fall. Both of those take four years, generally, but like college football, players can opt to leave early to join the professional ranks (with several technical and confusing rules and caveats). For now, continue to watch these players' development in the junior, overseas and college circuits. Even more of the Dallas Stars 2007-09 draft class should begin pouring into Cedar Park next year. The Stars had a few player transactions in the past couple of days. Yesterday at 5 PM EST was the deadline for teams to extend qualifying offers to restricted free agents. Dallas had only two RFAs who had not previously signed, Sean Backman and Guillaume Monast. Neither was extended a qualifying offer. Colton Sceviour and Richard Bachman were previously re-signed. Monast has been picked up by the Sanguenay Marquis of the LNAH two weeks ago, according to this article. His professional career will continue in the province of Quebec. It was also not expected that Sean Backman would be extended a qualifying offer. 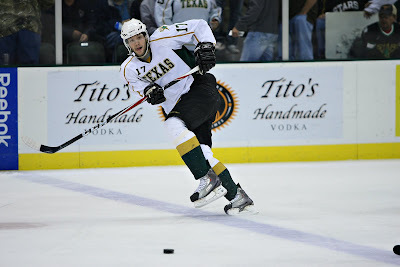 Backman, a free agent pickup last year out of Yale, had seven goals and sixteen assists in 67 games for Texas. I don't imagine that his professional career is over; he will likely get a shot at an AHL or ECHL contract elsewhere. It is not out of the realm of possibility that such an offer comes from Texas. In other news, the captain is back. Brad Lukowich broke the news on his own Twitter feed last night. Details of the contract were not immediately available, but Lukowich's comments later in the evening implied the contract was two-way. It has been widely reported that some of the affiliation shuffling is almost done with Portland and the Coyotes signing a five-year affiliation agreement this week. Vancouver and Chicago also paired up, leaving just two dance partners: San Antonio and Florida. Texas GM Scott White will be starting from scratch with his coaching staff in the fall as news came out over the weekend that Texas assistant coach Paul Jerrard had been hired to replace Charlie Huddy in Dallas. "We just brought on Paul Jerrard, who was with me in Austin for two years. I think when a head coach comes in he has to be comfortable. ... There's got to be some synergy in that coaching staff and we thought bringing in Paul would help us in that regard." For a bit of background, check out this great article that Scott Burnside wrote for Black History Month while Jerrard was in Iowa. The story from 2007 is a wonderful read, especially when you already know the ending. Now Texas starts over. Dallas candidate Kirk Muller was just recently hired for the Milwaukee Admirals head coaching job, replacing Lane Lambert who went to the Predators' staff. There are two ways to go here. Texas could go "up", grabbing an NHL assistant for the head job, or "down", plucking an ECHL or CHL head coach from the lower league. With development camp this week, the Stars will begin buckling down on that search over the next few weeks. The biggest news around the league at the moment is the hiring of several AHL head coaches for the same job in the NHL. Kevin Dineen started the party this year, moving from the Portland Pirates to the Florida Panthers. Coaches Gulutzan and Yeo followed last week, moving to Dallas and Minnesota respectively. "The market is pretty wide open. There's three American League jobs open [Ed. note: TEX, HOU and POR] and many assistant coach's jobs in the NHL. So who knows how it's all going to play out. We have an idea. Will we execute? It's hard to say. I'd say it's 50/50 if we have something in a couple weeks, hopefully we do. It's a good opportunity, and we're going to hire the right candidate, whoever that may be." It would be nice for the Stars to pick up some AHL scoring talent up front off the above list. A player like Colin McDonald (42-16-58 for OKC) would add a massive scoring punch. However, McDonald had three fair to middling seasons in Springfield before his breakout last year in Oklahoma. Is it an aberration or a new trend? The next big event for hockey fans, especially in the AHL, is the NHL Entry Draft on Friday. Dallas picks 14th. Since players are drafted when they are 18, it generally takes a few years before they reach the AHL. For example, Scott Glennie, 2009's first round pick, will be a regular skater for Texas starting next year. File this one under "future watch". I had a chance to participate in the conference call today with Dallas Stars GM Joe Nieuwendyk and new head coach Glen Gulutzan. Here are a few quotes that apply heavily to the Texas Stars. Coach spoke very highly in general of his time with the Texas Stars and in Austin. "Being behind that first bench, I can remember coming home and talking to my wife, my comment to her was that the game is a lot faster and crisper out there. At the end of the day though, it's the same game, just at a higher level with bigger faster players. 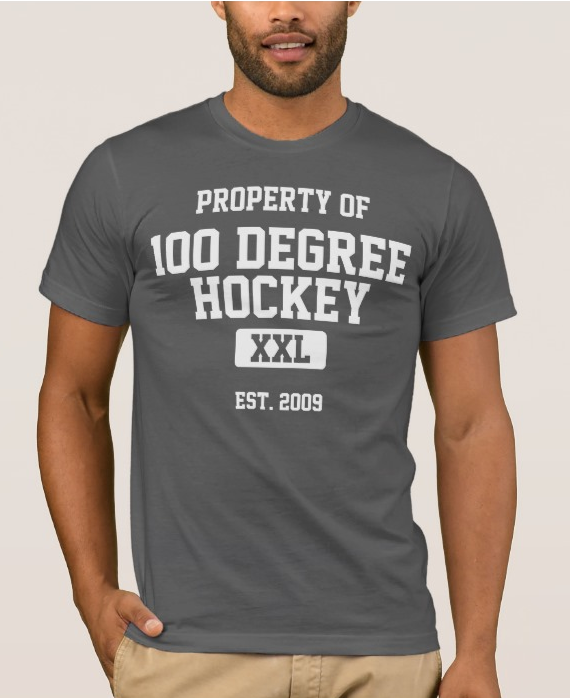 I can remember that distinctly as my first impression of the American Hockey League." "It was almost like a second season rolled into one. I thought I grew more in the playoffs than I did during the regular season, and I thought the regular season was a good growth. As I approached the next season, I felt a lot more confident as a coach and started to try to get out of my comfort zone coaching with some new ideas. It was one of my greatest learning experiences." "Having coached those guys at the AHL level, having watched some of their transformation and now getting them up here, if you're there with them at the grassroots, you know them as a player. It's almost like raising a child. Now you see them coming up and maturing and becoming effective players. If you know their path, if you can relate with them and you understand their strengths and weaknesses I think that experience will be valuable going forward with Tomas [Vincour], [Jamie] Benn, Larsen and those types of players." "His strengths are exactly what I feel this team needs: the structure and the style of play. The bottom line is that he gets it. He understands players; he understands how to mesh players and get the most out of their abilities. We've seen that talking to the players, like Jamie Benn, who went down to play for him. 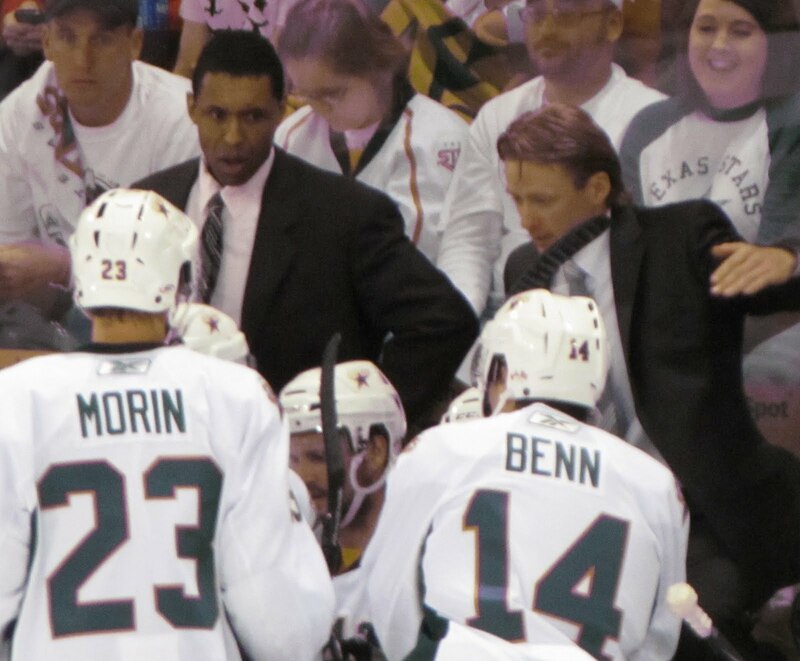 [Benn was] highly impressed with the structure, style of play, and the bench demeanor of Glen." 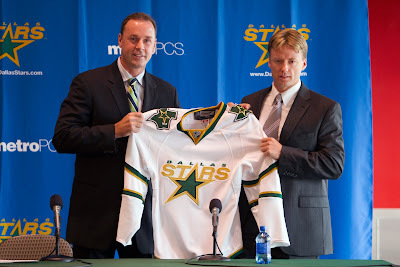 The Stars will have a full press conference on Monday to formally introduce Coach Gulutzan to the Dallas media. 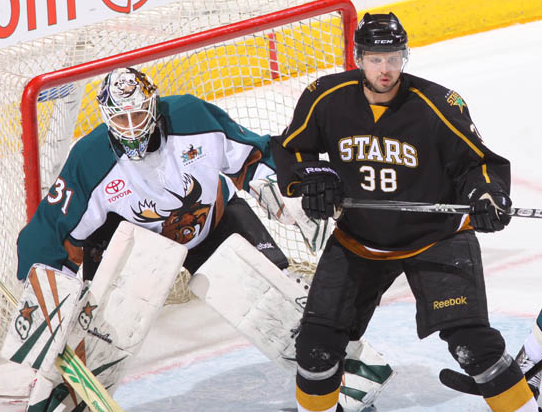 Despite previous reports of his signing with the Vaxjo Lakers, Dan Spang has been signed to a one year, two-way contract with the Dallas Stars for the 2011-12 season. Richard Bachman, set to become a restricted free agent on July 1st, has also been re-signed by Dallas to a one year, two-way deal. Both deals have been reported by the Dallas Morning News and ESPN Dallas but not yet confirmed by the Stars organization. Last night, Capgeek, the preeminent source for contract information in the NHL, tweeted that Dan Spang had been signed to a one-year one-way contract. The one-way nature of the deal seemed unlikely. Mike Heika reported on the story late last night but was unable to make a confirmation due to the late hour of the report. This morning, Heika reported that the deal has been confirmed as a two-way deal, not a one-way deal, for $525,000 in the NHL and $105,000 in the AHL. Including his time in the DEL, Spang counts as an AHL veteran. Each team is only allowed five AHL veterans, players with more than 320 games played professionally. ECHL games do not count toward this number. Spang gives the Stars four veteran players, including Fortunus, Wathier and Lukowich, who is reportedly in talks to re-sign for another year with the Dallas organization. Given Coach Gulutzan's time coaching Spang in Las Vegas and Texas, I have a feeling that his fingerprints are on this signing. I do not feel like he will be a call-up option for the Dallas Stars, however. I would expect Larsen, Dillon, Fortunus, and Lukowich to get the call before Spang. Richard Bachman, to the surprise of no one, received a contract extension this season. Bachman will receive $70,000 playing for the Texas and $550,000 with Dallas with a guaranteed payday of $80,000 no matter what. Bachman will be the Texas Stars' number one goaltender from day one this season with Tyler Beskorowany at backup. After setting a franchise record for wins with a 28-19-5 record, he will be a solid player for Texas and is a clear number one. Coming into the summer, this was one of the most important off-season priorities for the Texas Stars, and it's good to get it done early. Now, of course, signing a new head coach has been added to that list. Per Mark Stepneski, multiple sources are now confirming the hiring of Texas Stars head coach Glen Gulutzan as the next head coach of the Dallas Stars. Gulutzan beat out other candidates including Pete Horacek, Kirk Muller, and Ken Hitchcock for the right to succeed Mark Crawford as the bench boss for Dallas. Gulutzan has had tons of professional success as a coach, with his clubs only missing the playoffs once in eight years. Furthermore, his teams have failed to advance to the third round or beyond only once since 2005. In two years at Texas, Gulutzan is 87-56-7-10 in the regular season and 16-14 in the playoffs. Austin hockey fans know that the Texas Stars ice a competitive club every night and a big part of that has been the mentoring of Coach Gulutzan. It is with mixed emotions that the Austin community will see Coach Gulutzan move on to the NHL. Surely, the fans will be proud and excited to see the coach "called up" to the big leagues. It will add yet another rooting interest to the Dallas games. On the other hand though, Coach Gulutzan was a great piece of this hockey club and will be sorely missed. Finding his replacement will not be hard, in my estimation, as Paul Jerrard is an excellent coach who can help continuity for the AHL team. Texas GM Scott White should have an interesting summer as he tries to get deals done for players like Greg Rallo and also needs to find a new member of the coaching staff. It's tremendous. I remember a year ago to the date my wife crying that she didn't want [to leave Las Vegas] to go look at houses in Austin. Now, I couldn't pry her out of there. She loves it; my kids love it. What a fabulous city. We rave about it in Canada, how nice it is. Great community, great community people. I think that's what makes something you call home, when you're surrounded by good people. Certainly we've made Austin our home pretty quickly. Guess it's time to look for a new house. According to Mark Stepneski, the Dallas Stars have re-signed center Travis Morin and winger Colton Sceviour to two-way deals for the 2011-12 season. 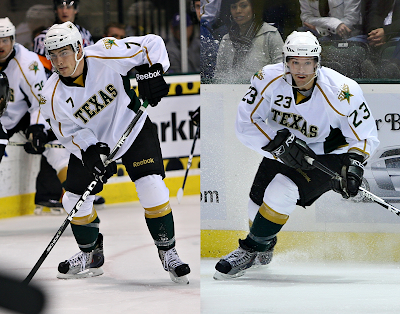 Both players spent the majority of the season with the Texas Stars. Morin would have been an unrestricted free agent on July 1st, and Sceviour a restricted free agent. 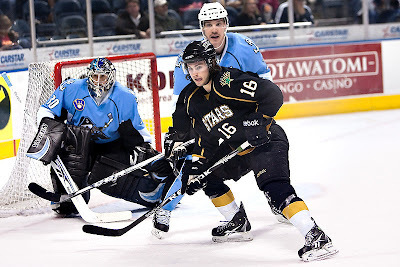 Sceviour, Dallas's 4th round draft pick in 2007, saw action in one game against Philadelphia this season, breaking his streak of playing in every Texas Stars' regular and postseason game. 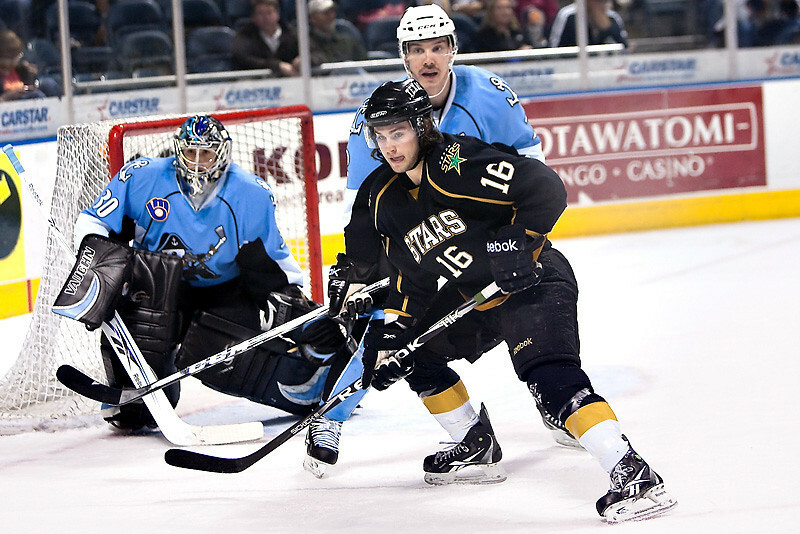 Colton had a great year in his second professional season, scoring 16 goals and adding 25 assists in 77 games. Morin had a spectacular season, being selected as a starter in the AHL All-Star game but missing it due to his first call-up to the NHL. Morin played in three games for Dallas this year, recording no stats, but clearly making a strong impression on leadership there to ensure his spot in the system this year. Travis had 45 points (21g-24a) in 64 games with Texas this season. He was also better than a point-per-game player for the Stars in the playoffs with 3 goals and 4 assists in six games. I expect that Sceviour will be one of the first call players for the NHL club this season as he continues to grow and mature as a professional. Morin has the potential to be the same, depending on camp. He will definitely help to be a quality depth player in the minors for Dallas. Other Texas players with expiring contracts include UFAs Brent Krahn, Brad Lukowich, Trevor Ludwig, Ray Sawada, and Aaron Gagnon; RFAs Guillaume Monast, Richard Bachman, and Sean Backman; and all AHL-only contract players. Update: Contract details have been posted. The Dallas Stars announced today that the club has agreed to terms with center Travis Morin on a two-year, two-way contract ($525,000 at the NHL level; $125,000 at the minor league level; with a minimum guarantee of $150,000 each year), putting him under contract through the 2012-13 season. Right wing Colton Sceviour has agreed to a one-year, two way contract ($525,000; $75,000). If the Stars ever do a contest like the above, it should totally include some postgame press questions. I'm in, if so. With the move of the Atlanta Thrashers to Winnipeg and subsequent move of the Manitoba Moose to St. John's, Newfoundland, there's quite a bit of affiliation news going on right now in the AHL. At current count, I have at least six teams with changing or uncertain affiliations for 2011-12. Let's run them down and what some likely outcomes are. First, let's take a look at the aftermath caused by the Thrashers' move. The move caused a chain reaction of moving the Moose to St. John's, Newfoundland. (That's St. John's, Newfoundland, not Saint John, New Brunswick, by the way.) The Manitoba Moose are owned by True North Sports, the same group that purchased the Thrashers, which means that the new St. John's team will be the AHL club for the Winnipeg NHL team. This change leaves both Vancouver (NHL) and Chicago (AHL) without an affiliate. That pairing certainly seems like a match made in heaven for Vancouver, if not Chicago as well. However, reports indicate that six different NHL teams have contacted the Wolves about affiliation for 2011-12. There's a reason. Chicago is a team with a lot of tradition of winning, good ownership, and the ability to compete for a Calder Cup every year. It's a high likelihood, but the Wolves are paring their choices down to three before moving forward. The Rochester Americans have been quite unhappy with their relationship with the Florida Panthers. The Americans, one of the oldest teams in the AHL, have had difficulty fielding a playoff club these past few years and are yearning for days of yore. Hence, the Buffalo Sabres have stepped up to the plate. They have signed a nonbinding letter of intent to purchase the Rochester Americans. The Sabres have a strong tradition with the Americans, with the two being affiliated as recently as 2008. However, the Portland Pirates and Sabres are locked into a contract until 2013-14. If all the hurdles are cleared, however, this puts Portland and Florida out in the cold. Additionally, the perpetually unhappy Syracuse Crunch have had previously documented issues in their relationship with the Anaheim Ducks. For example, the Ducks refused to send a player to the Crunch when he was traded from Vancouver because he had a better chance of making the playoffs in Manitoba. It was true but understandably left a bad taste in Syracuse fans' mouths. Reports indicate that Tampa Bay is looking for a new affiliate, and Syracuse is a potential suitor. Of course, Tampa Bay could also be one of those teams knocking on the Wolves' door. When does this all shake out? Most years the affiliation landscape would already be hashed out by now. For example, the Lowell/Albany/Charlotte changes were already publicly announced by this time last year. League-wide reporter, Patrick Williams, expects much of the confusion to be cleared up in the next two weeks. The Thrashers move caused a lot of the usually timelines to be delayed. With things settling out for that organization, the picture should become clearer in the next ten to fourteen days.